I am wondering why the amount of salt is not given as a percent of the weight of the vegitables? 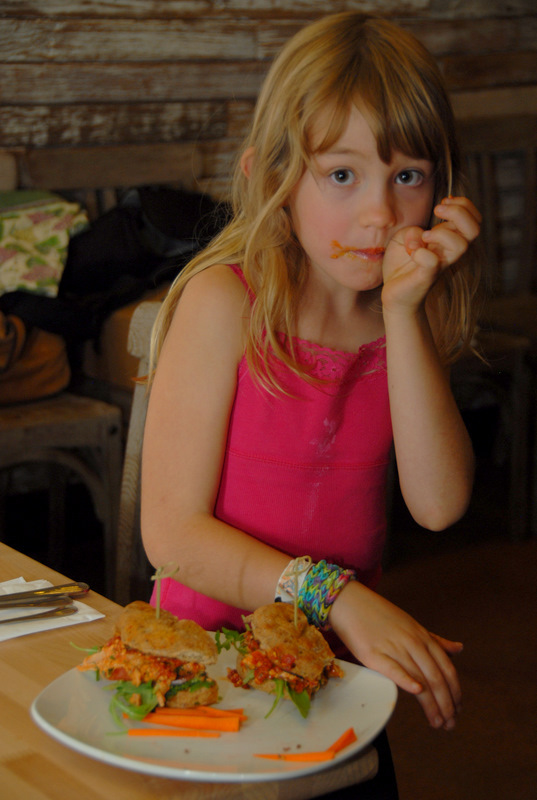 The purpose of the salt is to enhance flavor and pull out vegetable juices. Salt is not given as a percent of vegetable weight because any amount can be added, and tastes vary from person to person. 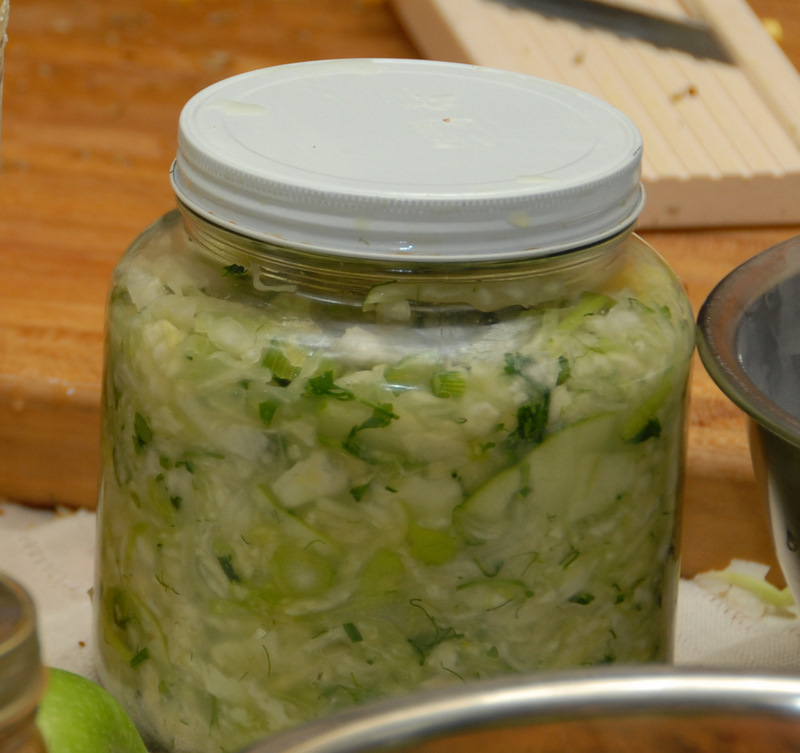 Remember, a successful ferment occurs when all vegetables are completely covered in liquid or brine. The amount of salt will not impact the ferment. Liquid is from pounding the veggies. We don’t want to dilute the enzymes and live content of the veggies. 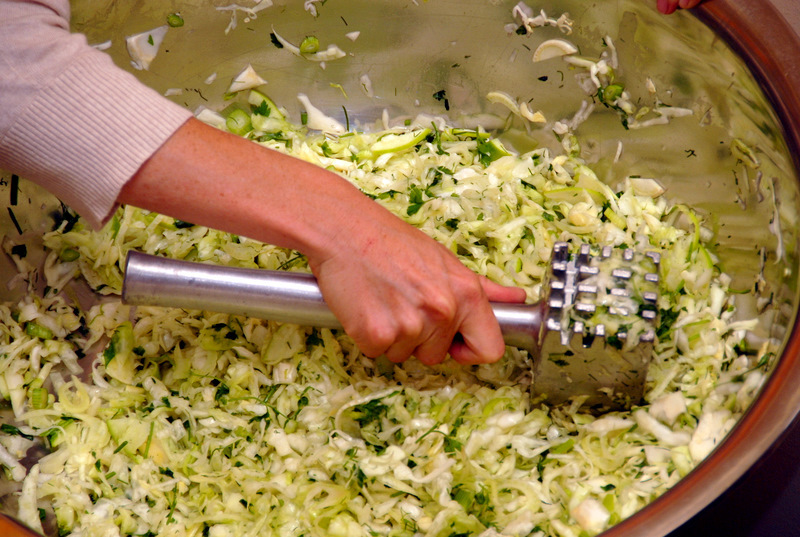 Salt also helps to draw liquid from the cabbage. Even if you can’t get a lot of liquid to appear on day one, weight your ferment and you will see that the salt will draw more liquid out by day two or three. I just finished mixing this up and I can’t wait! Even raw, the texture and flavors are lovely. I had chopped a little too much for my kraut pot so we ate some right away in a salad with hazelnuts, blue cheese and dried cranberries. Yummy!! !